Takoyaki, originating from Osaka in a quintissential Japanese street food. Balls of batter containing pieces of octopus, and covered in a mess of mayonnaise, takoyaki sauce (sort of like brown sauce), dried tuna flakes, and various bits and pieces. Delicious, addictive, and impossible to eat without getting your face covered in sauce and grease. 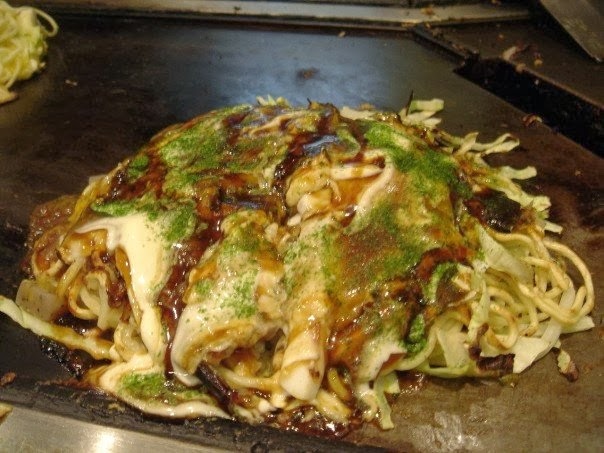 Okonomiyaki is a thick, dense, sloppy pancake, often containing noodles and shredded cabbage. 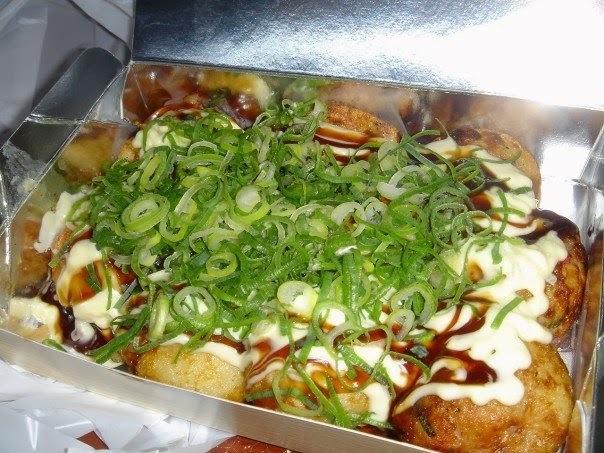 It is topped with the same brown sauce you get on Takoyaki, and usually mayonnaise too. 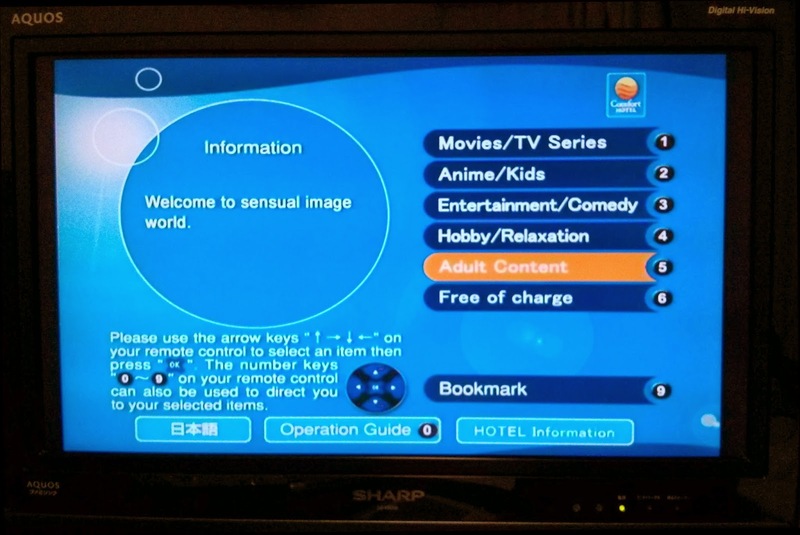 In the "Osaka" version, the ingredients are all mixed up, while the "Hiroshima" version is layered. I particularly enjoyed this little food truck serving a variety of stuff deep fried stuff. The selection included pork, rolled up bacon, prawns, and best of all, Japanese beef. You wouldn't eat a whole meal here, think of it as tasty snacks to enjoy in the evening with a few glasses of beer or sake. I don't know if there's a name for this stuff, but either way, it was pretty good. 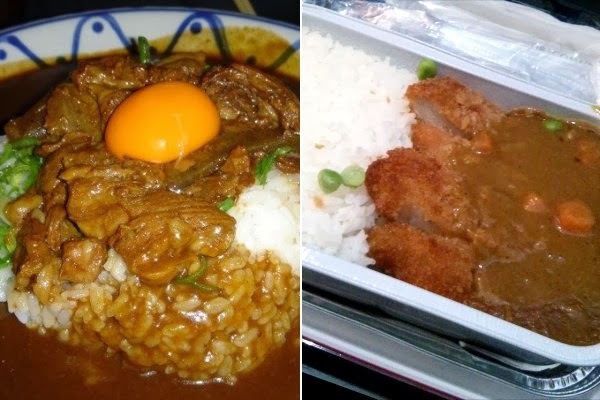 Japanese-style curry is everywhere in Japan. Introduced to Japan by the British (who else), it has since taken on a life of its own and become a Japanese staple. Beef curry is one of the more common varieties, but my favourite is undoubtedly pork katsu curry - and I tend to eat it at every possible opportunity. I even had it as an in-flight meal! 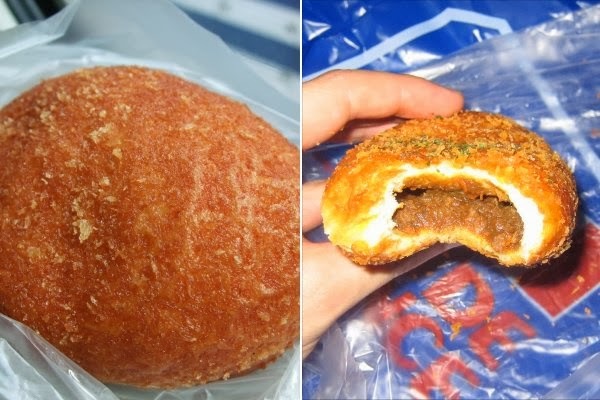 I've mentioned the curry doughnut (kare-pan) before, but it really is a wonderful invention, and makes for an interesting surprise if you can't read Japanese and happen to buy one from the local bakery. 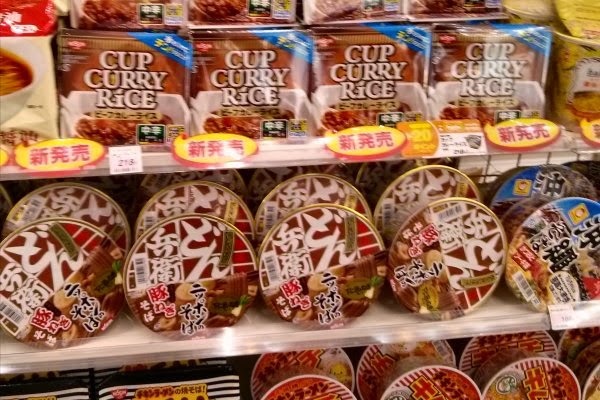 Everyone knows that the Japanese love their instant noodles, but instant curry-rice was a new one to me. I did actually buy one, but it got tragically lost in transit. But I can kind of imagine what it might taste like. 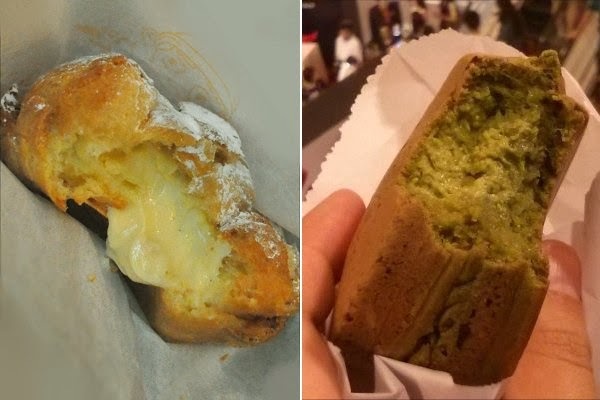 Cream puffs - large choux pastry buns filled with custard or cream - are really popular in Japan. I also enjoyed obanyaki, a kind of hocky-puck-shaped cake with custard filling, eaten freshly cooked. This particular one was green tea flavoured. 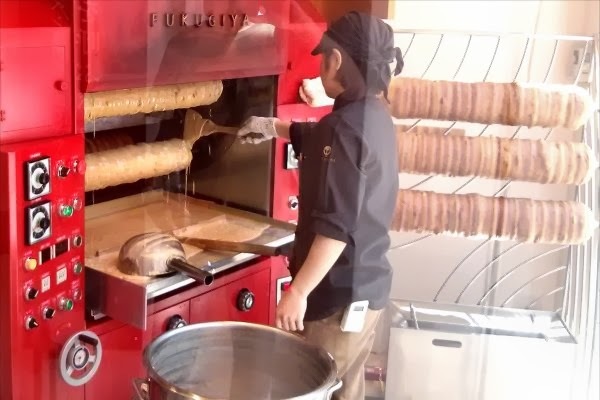 Baumkuchen is another popular import, and as with curry, they've kind of made it their own. You can find flavoured versions of this layered cake, such as green tea and sweet potato, all made using these awesome machines. I'm going to try making one of these some day soon... not quite sure how, but I think it will involve a packet of "yellow cake mix" and a frying pan. There are seemingly endless varieties of sweets in Japan, and I was particularly intrigued by the flavoured Kit Kats - apparently there have been over 200 varieties released over the years, including soy sauce, wasabi, and ginger ale. 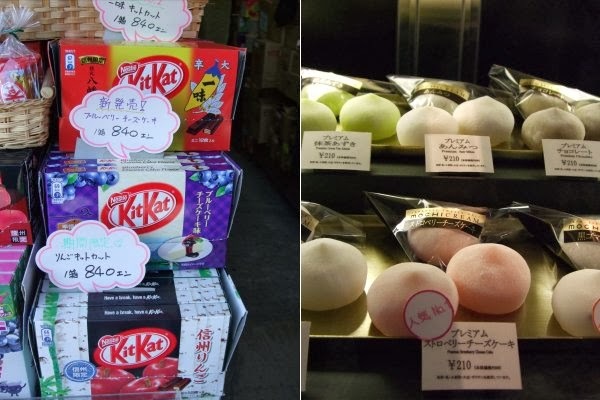 At the higher end of the market (or so they like to think), but with a similar number of flavour options, are "Mochi Cream" - chilled glutinous rice balls containing cream and fruit puree. 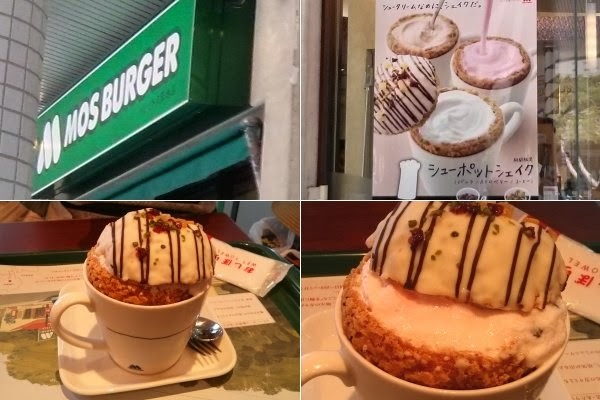 I found this ridiculous milkshake in a branch of Mos-Burger (popular Japanese burger chain). It's essentially a thick milkshake inside a choux pastry cone, served in a mug. Weird but pretty good. Actually, very good. I'll add this to the list of things I might try making at home. When it comes to booze, Japanese beer isn't much to write home about - especially the major brands, which have become as ubiquitous worldwide as Fosters, and about as flavoursome. 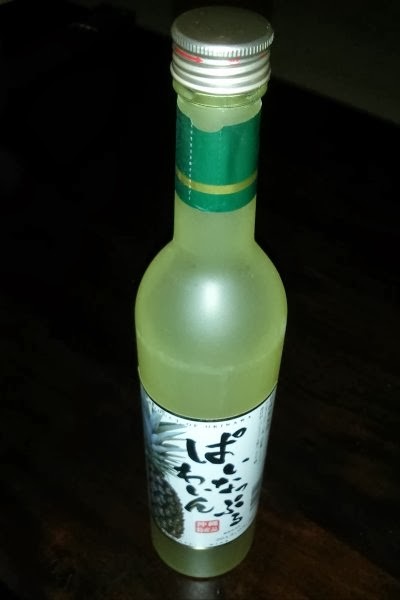 Sake is all well and good, but I found this Okinawan Pineapple Wine and had to give it a try. The truth is it tasted a bit rough, but mixed with a little Pocari Sweat, it went down pretty well... although it gave me a hell of a headache the next morning. I seemed to encounter tasty food and general madness at every corner. For that reason, I am going to award Japan a fine score of 9/11. You have similar tastes to us. Both on our first trip and the second one we just returned from, we ate far more of the regular stuff you've mentioned than the high level places that some visitors gravitate to. We don't find street food that common in Japan, but some things are, and we did indeed enjoy okonomiyaki both in a market and in a tiny restaurant somewhere. Curry, yes of course, love it. Tonkatsu too, one of our favourites. 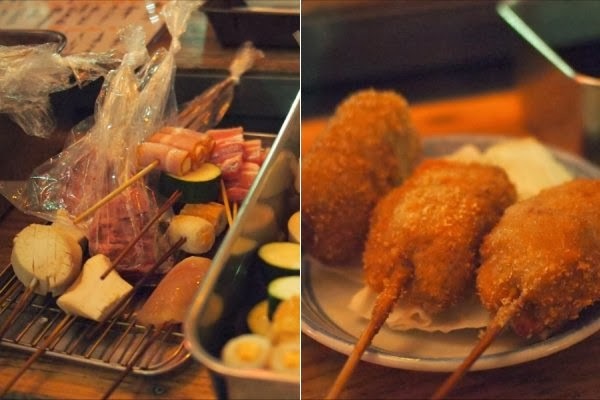 Deep fried food of any kind, like the DIY kushiage places, always fun. Likewise yakiniku, one of our favourites, available cheaply everywhere. Sweets, many many kinds, so delicious. I did a blog post a few months ago about the various kit kat flavours we managed to find on the first trip. We only found a three new ones this time. Mos Burger, yep, gotta love them. We even popped into a Burger King, not a Japanese chain but the limited edition Kiro Ninja we went in for was uniquely Japanese. And much much more deliciousness besides! Street food... depends where you go, I think. Fukuoka is good for street food. Takoyaki stands seem to be on every corner in Osaka. But I agree, it doesn't perhaps have the same street food culture of some other Asian countries.